Weight slightly > 3 lbs. approx. 2.25 lbs. Please send a check or money order (payable in U.S. Dollars to Taylor Sports, L.L.C. 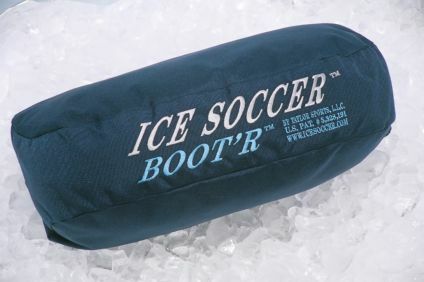 ), covering the combined price of the Boot’r, copyrighted “Official Rules of ICE SOCCER”, shipping/handling and applicable (Michigan) sales tax. A 6% sales tax applies if this is a retail order shipped to a Michigan address. The Michigan Department of Treasury (517-636-4730) advises that applicable Michigan Sales Tax applies to both the product being sold and any related shipping and handling charges. Payment via PAYPAL is currently under review. 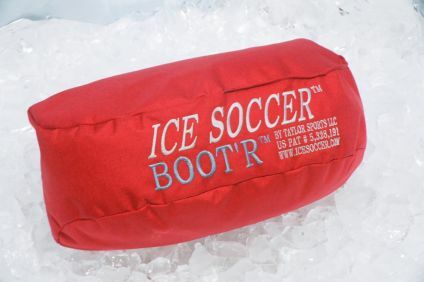 U.S. domestic league orders or individual orders for five (5) or more Boot’rs should be placed directly with Taylor Sports by calling (810) 227-3692. Planned international orders (which require additional shipping price determination) should have total prices verified in advance by e-mailing intended order quantity and “ship to “ address.